Hi, my name is Rene Nefi Gomez, but everyone close to me calls me “Nefi” (Nephi in English) since my dad’s name is also Rene. I am a descendant of the Yucatec Mayas from the group called the Icaiche Mayan. The Icaiche Mayas once inhabited the lands around the border between Belize and Mexico. I was born and raised in these lands that my ancestors once inhabited, now known as Orange Walk, Belize. Ever since I was a child I was fascinated to know that my ancestors once built great cities in this area like Lamanai, which has one of the longest inhabitation histories than many other Mayan sites in Mesoamerica. My fondest memories as a child, was when my brothers and I would visit this site with my parents. My parents were one of the first to be converted to the gospel here in Orange Walk, Belize. I was the first born baby in the branch, and served a full time mission in Ecuador Guayaquil North Mission. When I returned, I got married and sealed to Melina Rosado, whom I had a long time crush ever since I met her in our Sunday School youth class. Melina also served a full time mission in the El Salvador West Mission. We have three children Nephi, Hailey and Sariah. 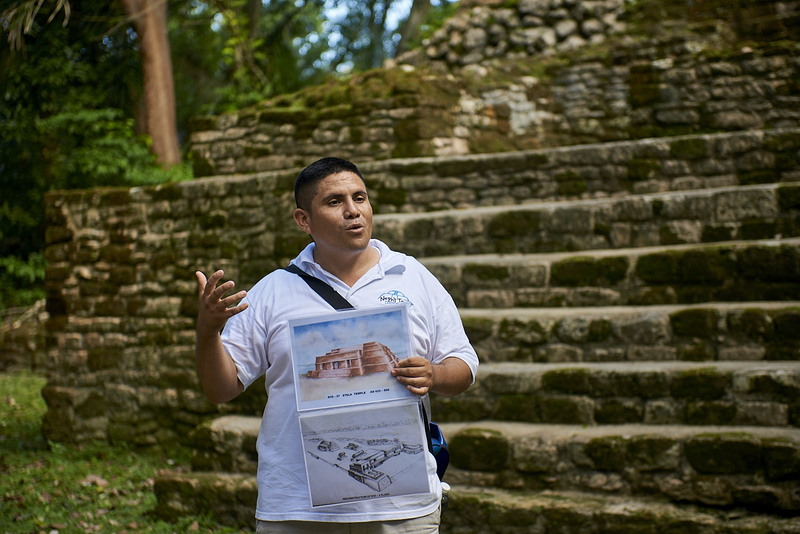 When we got into the tourism industry, we saw a great need to create a genuine Latter-Day Saints tour of Lamanai. I have had the great privilege of conducting a tour for Elder Quentin L. Cook when he visited Belize in early 2016. It was a great accomplishment for our tour company, since we had to meet the Church’s highest of standards in order to be able to conduct that tour for an apostle of the Church. It was truly a wonderful experience to do a tour for an apostle of the Lord, and it would be our pleasure to share our wonderful heritage of our ancestors with you. Come and enjoy the adventures of visiting Lamanai. We promise you an unBELIZEable experience of what our beautiful country has to offer.